MADARAO, NAGANO PREF. - It is an often overlooked truth of Tokyo that it is one of the best cities in the world to live in for those with a passion — or even just a desire to try — skiing or snowboarding. Countless resorts occupy the mountains that border the city on three sides, providing a bounty of opportunity to ski or board. The closest of these are a little over an hour away by bullet train, providing quick enough access from the city that a weekend of skiing, or even a day trip, is easily possible. 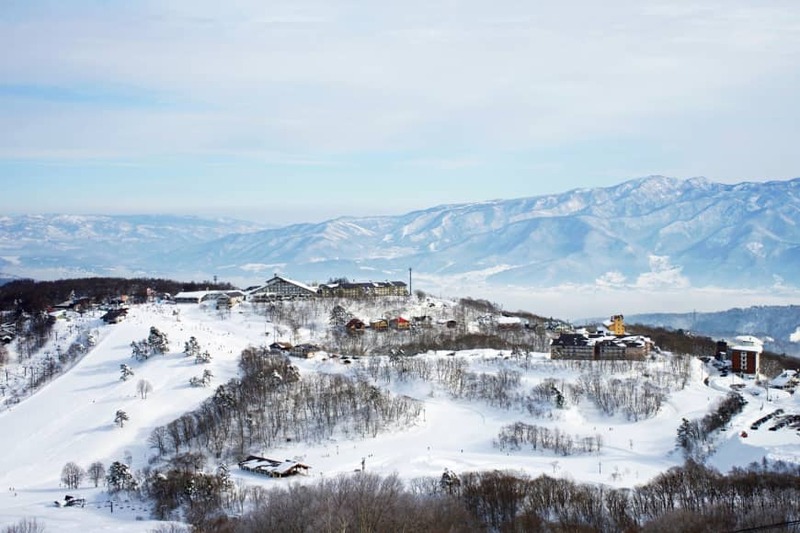 Madarao Kogen, located about two hours northwest of Tokyo by bullet train in Nagano Prefecture, is one such resort. It is less well-known than some of its rivals within the prefecture, but that just means emptier runs and shorter lift queues. Aboard the shinkansen, Tokyo peels away over the course of half an hour, and the landscape soon changes, first to low hills and then ever larger mountains as the train makes its way northward. 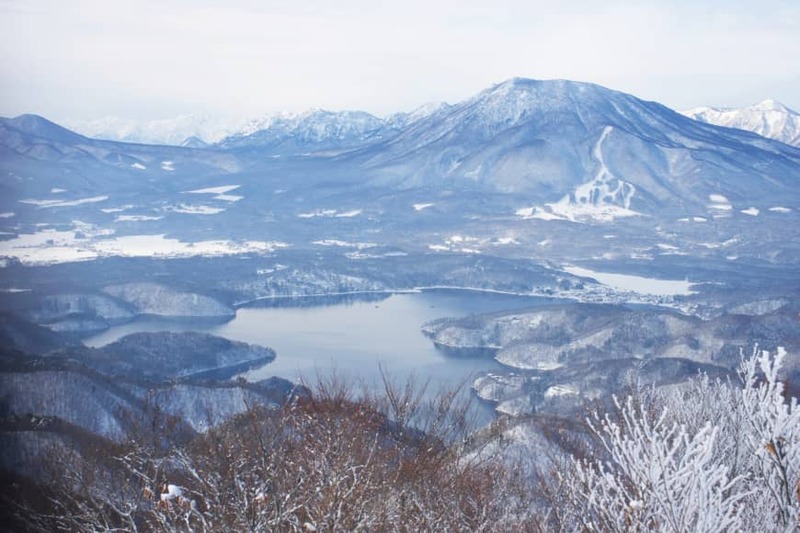 In the winter months, much of Nagano Prefecture is buried beneath a thick layer of snow and there are audible gasps and cheers from the skiers aboard at the first sighting of snow. 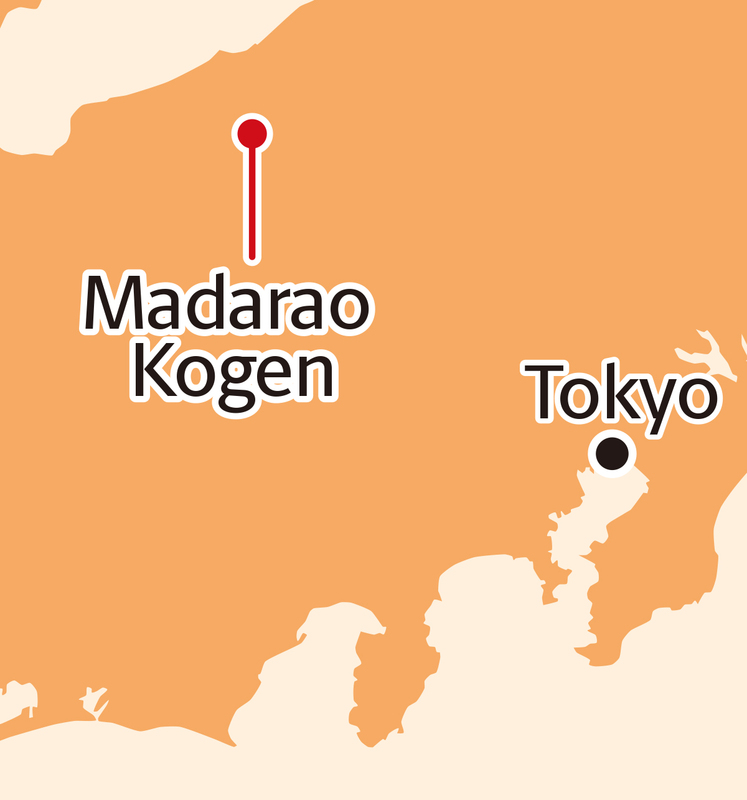 Madarao Kogen prides itself on two things: its powder snow (“Madapow!”) — enjoying over 10 meters of fresh snow annually — and its tree skiing. While the former is a claim shared by many resorts throughout Japan, few embrace the latter to the extent of Madarao. While some resorts begrudgingly allow tree skiing (and others go so far as to confiscate lift tickets from those who are caught off piste) the management of Madarao has realized the potential of the resort’s deciduous sentinels. It promotes itself as “the tree run destination” and has marked out 13 runs specifically for tree skiing. Some of these runs are lightly gladed to thin out the trees and provide easier skiing, while others are left completely unmanaged, except for markers pointing out safe routes to the bottom. That is not to say the resort is short of quality pisted runs. Madarao strikes an exceptional balance between slopes suitable for beginners such as the scenic Ocean View course, which on a clear day offers views across the Sea of Japan to the north and the prefecture’s interior to the south. At the other end of the spectrum, the resort has a number of steeper, less frequently groomed runs with moguls that will put the legs of even the most experienced skiers to the test. With a Mountain Pass, skiers and boarders can also access the linked resort of Tangram Ski Circus, a nifty adjunct to Madarao that boasts its own share of tree skiing and pisted runs. 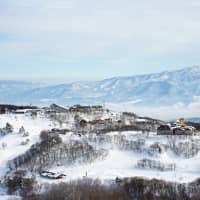 Together, the resorts make up a sizeable ski area — for Japan at least — with enough terrain to spend several days skiing and leave without feeling like you’ve explored the entire resort. Off the slopes, Madarao feels like a resort in recent recovery. Like the nearby, and better-known, Nozawa Onsen, Madarao has seen a resurgence in popularity since the extension of the Hokuriku Shinkansen Line in 2015 and the concurrent opening of Iiyama Station — a 25-minute drive from Madarao. Over the last couple of years, new businesses have moved into Madarao’s architectural mishmash of buildings to breathe new life into the resort. One of the newcomers to the Madarao accommodation scene is Raicho Lodge, which provides family-friendly lodging in a recently refurbished ski chalet at the foot of the resort. Named after the prefectural bird of Nagano, the raichō (aka ptarmigan and translating to “thunderbird”), the lodge was opened in December 2018 by a group of six non-Japanese who saw an opportunity to provide high quality, comfortable accommodation to the growing number of visitors from overseas. The lodge takes inspiration from both Japanese and Western design. The rooms are tatami-floored, with sliding shoji screens over the windows, and there is the option to sleep in beds or on futons on the floor. The main attractions for guests after a day’s skiing are the open fire pit that burns near constantly in a cosy alcove off the hotel lobby (a perfect spot for a hot chocolate or glass of wine), and the two sento baths in the hotel’s basement, stylishly outfitted in Japanese cedar. The lodge is also well-positioned: It’s less than a five-minute walk — or ski, if there’s snow on the roads — from the slopes, with ski rental, and the majority of Madarao’s limited apres ski scene within a short walk from the hotel. With the opening of Raicho Lodge came Kermis, the hotel’s ground-floor restaurant, and one of Madarao’s few fine dining options. It is run by chef Yasunobu “Nobu” Namiki who is best known for his acclaimed pop-up in the Tokyo restaurant and gallery space The Hangar. Nagano’s finest produce: At Kermis, chef Yasunobu Namiki cooks a menu inspired by local ingredients, including a straw-smoked wagyu steak. Nobu serves inspired cuisine that can be sampled via a tasting menu (recommended on first visit) or a la carte. The menu is primarily based on produce from the local farmer’s market in Iiyama and from Nagano Prefecture, and changes frequently with the availability of ingredients and the chef’s whims. 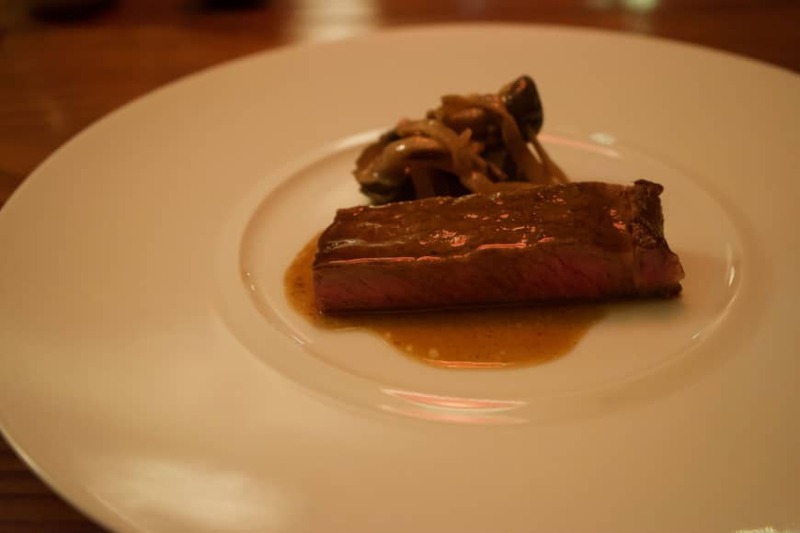 Highlights include a wagyu steak from apple-fed cows, first grilled and then lightly smoked over straw, and a delicate bowl of Goto udon noodles with a shiso-flavored Genovese sauce. Nobu does not shy away from dessert either: The apple mousse, made with apples from a 400-year-old orchard in Nagano, is truly sublime. Following Hangar precedent, Nobu’s menu also embraces an unusual yet deeply drinkable range of sake, alongside a healthy selection of European and natural wines for those preferring a more familiar drink. Another addition to the village’s apres ski scene is the Shaggy Yak, a restaurant and craft beer bar housed in what looks like an old prairie barn in the village center. The interior was refurbished before its opening in December 2018, but the walls still sport the scrawled signatures of many of the guests of the Newport Jazz Festival in Madarao, an international jazz festival held in the village annually between 1982 and 2004 and relaunched in 2007 as the Madarao Jazz Festival. A second stop is the appropriately named End Bar, a favorite of the season staff. For those looking for a more relaxed evening, Madarao Kogen Hotel hosts the village’s only true onsen (hot-spring bath), complete with two outdoor baths and Finnish-style saunas. 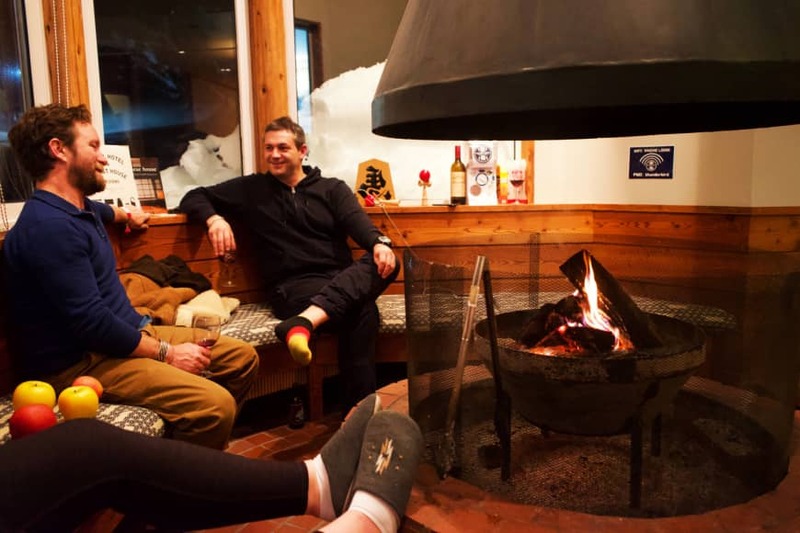 The onsen is open to the public until 11 p.m., and is the apres ski destination of choice for skiers looking to relieve a pair of aching legs. 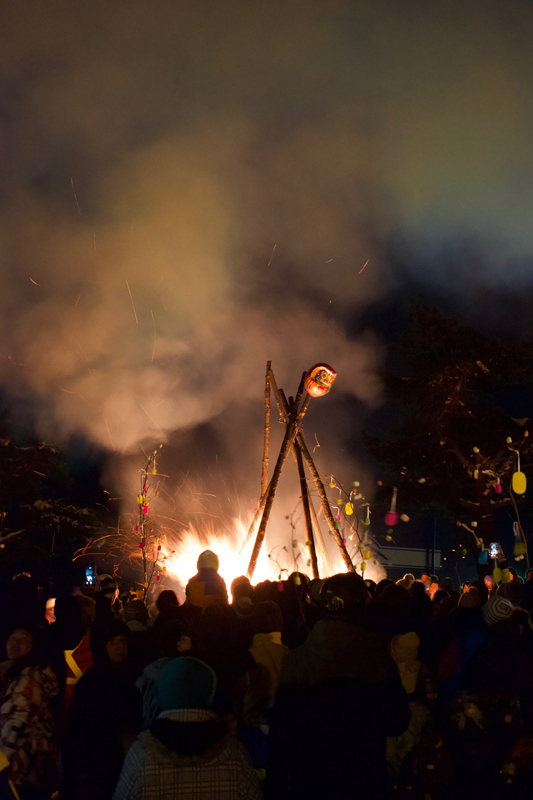 And then there is the Madarao Fire Festival, which takes place annually in early January. The communal affair sees locals and visitors drinking sake together, before heading to the top of the No. 2 Quad lift to ski down the mountain carrying flaming ski poles, the ends covered in oil-soaked rags that are set alight to create a torch procession. The festival culminates with a bonfire in the middle of the village, and yet more sake drinking. At Madarao there is also the option to simply continue skiing, using the evening hours to go night skiing on the floodlit, lower-mountain runs. The night skiing courses are open on weekends and public holidays until around 9 p.m.
It’s a quiet resort for now, but with so much going for it, it won’t stay that way long. Travel, accommodation and meals for this article were provided by Raicho Lodge. Reservations for the hotel and its restaurant, Kermis, can be made at www.raicho-lodge.com. 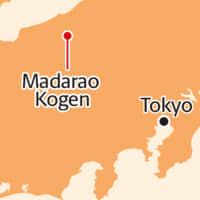 For more information about Madarao Kogen, visit www.madarao.jp/en. Madarao is best reached from Tokyo by bullet train from Tokyo or Ueno stations to Iiyama Station in Nagano Prefecture (1½ hours, from ¥8,000 one way). Shuttle buses run from Iiyama Station to Madarao (30 minutes, ¥700 one way). Nagano Snow Shuttle runs a direct bus to Madarao from Narita and Haneda airports (5 hours, from ¥12,000 one way).